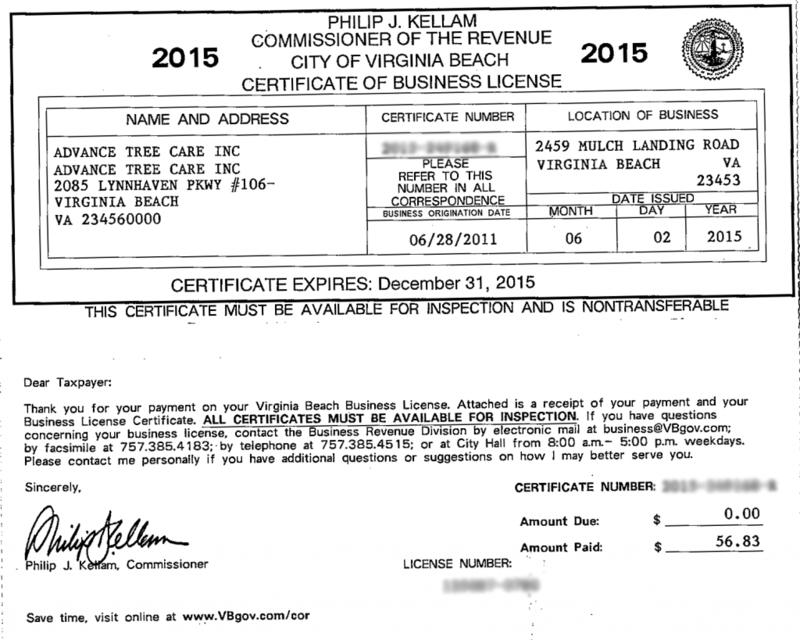 Below is a copy of our business license. Remember that it’s important to protect your investment and hire a professional, licensed tree care specialist for your tree trimming, tree removal, and tree care needs. Please feel free to call us with any questions about your tree care needs. Our expert arborists can help remove any old trees, access the health of your current trees, and make sure you’re covered.